Established in the 8th century on the slopes of Mount T’oham, the Seokguram Grotto contains a monumental statue of the Buddha looking at the sea in the bhumisparsha mudra position. With the surrounding portrayals of gods, Bodhisattvas, and disciples, all realistically and delicately sculpted in high and low relief, it is considered a masterpiece of Buddhist art in the Far East. The Temple of Bulguksa (built in 774) and the Seokguram Grotto form a religious architectural complex of exceptional significance. Located a short distance out of Geyongju, the Seokguram Grotto and Bluguksa Temple are two completely different sites put under the same World Heritage banner. The Seokguram Grotto was a real disappointment. It is much more difficult to get to, sitting on the top of a mountain, and up a winding road. You have to walk about 10-15 min to get there, and when you do get there, it is a tiny alcove where you can’t take photos, and the Buddha is walled off behind glass. The Bluguska Temple, however, is the most impressive thing in the Gyeongju area. It was the best-preserved temple I visited in South Korea and is a rather large complex. The above photo is the front of the Bluguska Temple. Both the temple and the shrine can be visited from Gyeongju on a half day trip via taxi or organized tour. 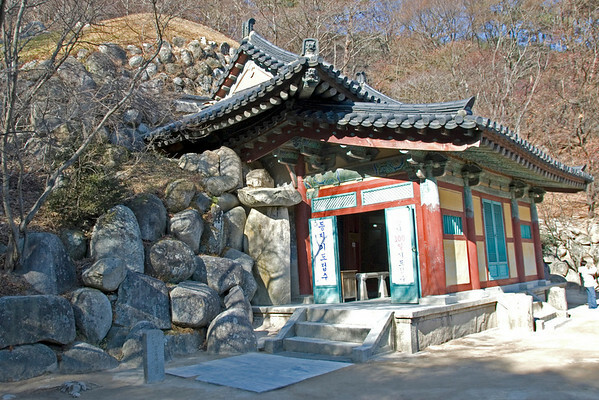 The Seokguram Grotto and Bulguksa Temple is a UNESCO World Heritage Site that was inscribed in 1995. It is a mid-8th century Buddhist Temple in Korea that was established during the height of the United Silla Dynasty. These two Heritage sites represent the architectural and craftsmanship skills of the Silla people during the earlier times. This is exemplified by the level of detail of the carvings and the statues within the Buddhist architecture itself. In fact, these two had been referred to as one of the best examples of Buddhist Architecture in Asia. For this reason, this UNESCO World Heritage Site featuring the Seokguram Grotto and Bulguksa Temple is one of the most visited tourist attractions in South Korea. It is both an architectural masterpiece and holds cultural value. This is a hermitage site that belongs to the Bulguksa Temple complex. It is considered as National Treasure in South Korea. The grotto is located four kilometers east of the temple on Mt. Tohamsan in Gyeongju. It provides an overlooking view of the East Sea with an elevation of 750 meters above sea level. The Seokguram Grotto exemplifies one of the best Buddhist sculptures in the world. 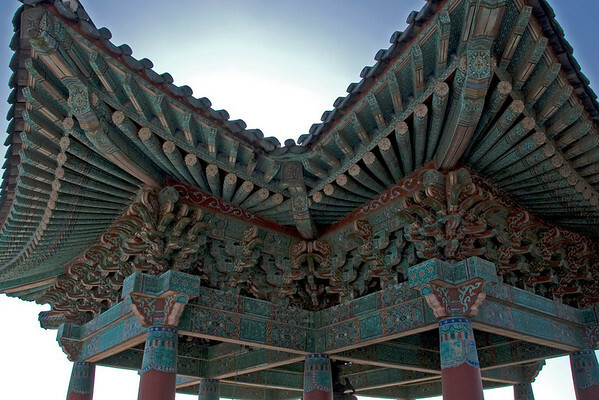 It was believed to have been originally built for by Kim Daeseong. The original name of the grotto is Seokbulsa, which means Stone Buddha Temple. The construction of the grotto started in the mid-8th century at a time wherein the Unified Silla Kingdom was at the height of its power. The grotto was completed in 774. Today, it is one of the best-known cultural attractions in South Korea. A lot of the tourists who visit the grotto also do so to view the sunrise over the sea. This is a popular attraction for the vantage point from the seated Buddha’s perch is one of the best spots to view the sunrise. 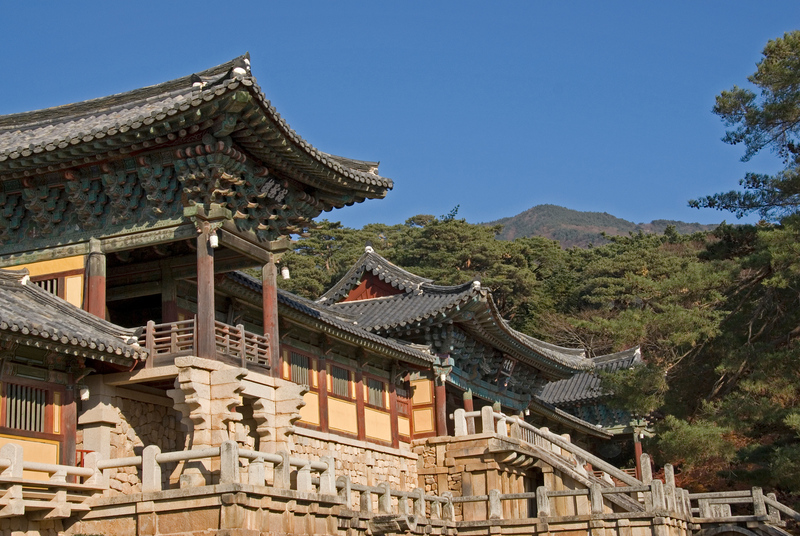 The Bulguksa Temple or Temple of the Buddha Land is an ancient relic in South Korea. It was built in the 8th century on a wooded slope of Mt. Tohamsan, which was once the ancient capital of the Silla Kingdom. This temple was built in the early 6th century during the Silla Kingdom. 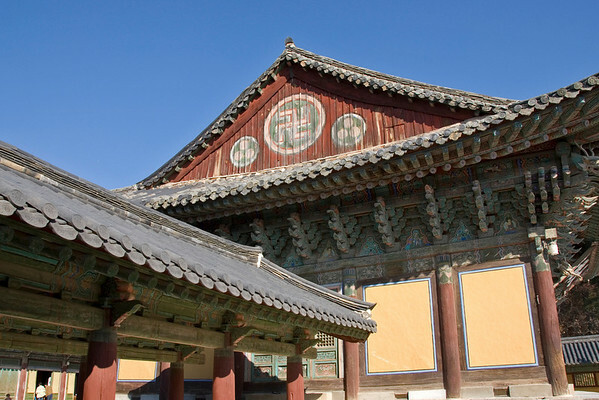 The original name for the temple is Hwaeom Bulguksa Temple. When the temple has finished construction, it was changed to its current name. Since ancient times and until today, the temple is home to many important cultural and historical relics. It was also designed to represent the land of Buddha, which is what the temple’s name stands for. There are three principal zones that are encompassed within the temple complex and they are 1) Birojeon or Vairocana Buddha Hall, 2) Daeungjeon or the Hall of Great Enlightenment and main temple, and 3) Geungnakjeon or Hall of Supreme Bliss. The halls of the temple are constructed using wooden materials and the roofs made of tiles. Each temple or structure is built on a raised stone terrace. To visit the Seokguram Grotto and Bulguksa Temple, you can travel via bus from the Gyeongju Station or the Gyeongju Intercity/Express Bus Terminal. You can ride Bus 10 or 11. This will take you to the Bulguksa Temple. Once you get to Bulguksa Temple, you can ride Bus 12 as it will take you to the Seokguram Grotto. The bus arrives after a 30-minute interval. Don’t worry about taxi or tour bus. If you are with a group of 6 or more, you can hire a van that comes with a driver for about 12$ a person for the day. He will take you wherever you want to go. 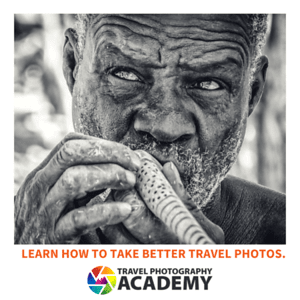 You can also take the local buses and use those two things below you…ya feet! I recommend skipping Yangdong Village. It is crap. Most visitors to the Geyeongju area miss the most enchanting and exciting things to see. The nearby mountain of Nam-san (not the one of the same name in Seoul!) is dotted with small temples and shrines, and gardens and outdoor statuary, some in better shape than others. It requires a bit of a hike, but you will be rewarded. Don’t miss it! im so exciting to visit there this summer! Buddhist temples are by far one of the biggest attractions to Asia, in my opinion. A lot of their art work and the likes are amazing. looks good, worth a visit some day. Beautiful shot. It seems that there is a significant difference between the details of the roofs in comparison to the Japanese Temples. South Korea has quite a bit to see for a small country.